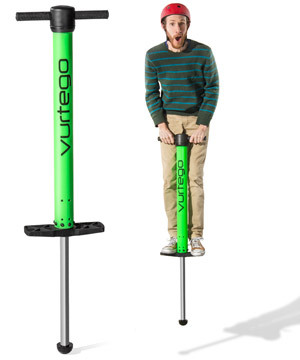 Your pogo stick from grade school would be put to shame by the 10-foot Pogo Stick. This bad boy can propel you up to ten feet in the air with an air-powered cylinder. This high-flyer achieves its unbelievable heights with compressed air and an extra-long piston stroke. The 10-foot Pogo Stick is even mod-friendly, using a bushing that can accept lubricants for an extra-smooth bounce. That smooth bounce and landing comes in handy when you step up your game and begin to pogo off ledges and stairs. The extreme toy can carry a rider ranging from 75 to 400 pounds and can be calibrated with a basic bike pump. 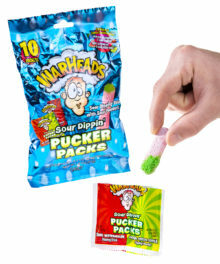 The 10-foot Pogo Stick is manufactured by Vurtego, a leader in extreme pogo sticks, who have been featured on dozens of TV shows and hold the world record for pogo high jump. 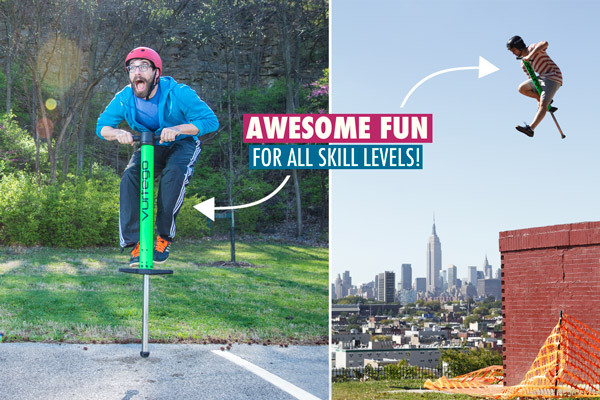 Designed for people 5'4" to 5'11"
If you’re not quite ready to attempt world records, don’t worry: the 10-foot Pogo Stick is fun for almost any size and skill level. The stick’s unique air piston design can adapt to any rider between 75 and 400 pounds. Adjusting the air pressure of the stick will raise and lower your bounce, so you can find the level that’s right for you. 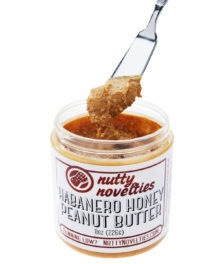 For Joes and pros alike. 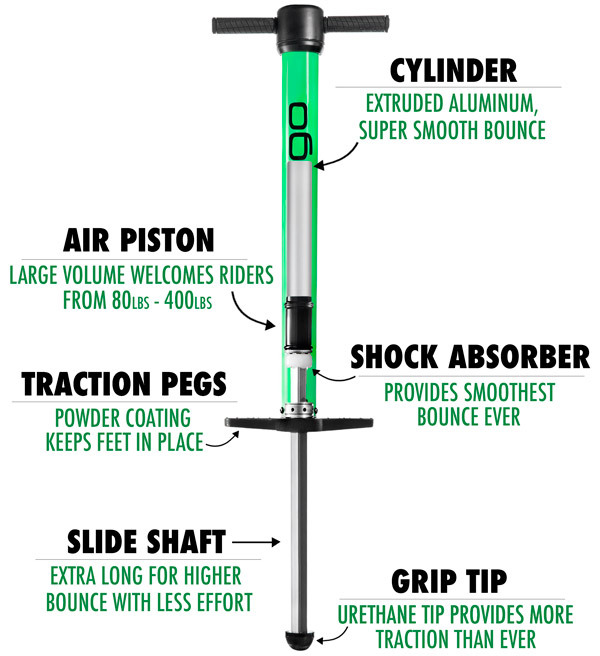 The heart of the 10-foot Pogo Stick is the carefully engineered air piston, which generates the power for your jump. This is contained inside the aluminum cylinder, which has been anodized to resist scratches and dents. That means this bouncy stick was designed to take a beating, so you can always ditch your ride to save your body. The shock absorber and slide shaft provide a smooth bounce while the traction pegs and grip tip help ensure as safe of a ride as possible. 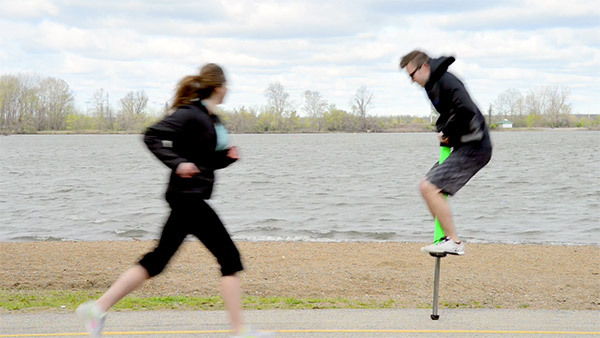 Exercise and fun don’t always go hand-in-hand but the 10-foot Pogo Stick gives you a workout while you play! The combination of jumping and balancing is a great way to increase your heart rate while working your muscles. Enjoy the view while working out your lower back, glutes, quads, hamstrings, calves, and triceps. If only dieting was this much fun. 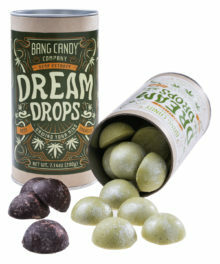 Lose weight while gaining altitude. Even if you’re not planning on getting in shape or becoming a pogo pro, jumping on a pogo stick is still just plain fun. It’s like turning the sidewalk into a trampoline! Simply put, the 10-foot Pogo Stick takes the simple joy of a traditional pogo and amplifies the awesome. Everyone loves a good jump. 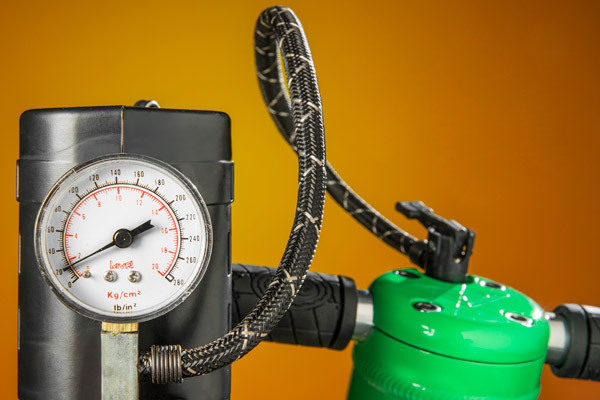 Adjusting air pressure changes bounce. 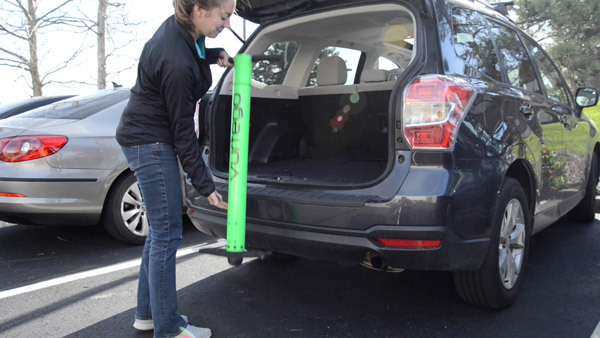 When your body is all bounced out, the 10-foot Pogo Stick retracts for easy transport and storage. Just let all the air out through the valve and retract the slide shaft inside the cylinder. In travel mode, the stick compresses down to 34” so you can take it with you as you go hopping around the world. 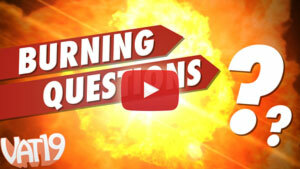 Answer: When used properly, the 10-foot Pogo Stick is a fun and safe product. 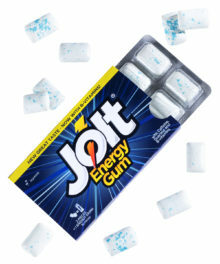 However, this stick packs some serious power so you’ll need to take precautions. At a minimum, make sure to wear a helmet and avoid uneven and slippery surfaces. We also recommend starting at a low air pressure until you become accustomed to the stick. And, as always, use a liberal amount of common sense. Question: Can I really jump 10 feet with this thing? Answer: The “10-foot” part of the name refers to the highest jump recorded with this pogo stick. It’s unlikely that non-professionals will get that high but even us newbies were impressed with the jumps we could do. Question: Does it come with an air pump? Answer: The stick does not come with a pump but any tire pump or air compressor should work.